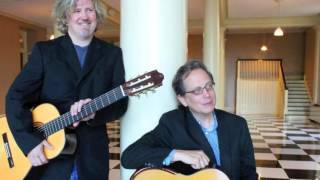 Duo Sudeste was formed in the summer of 2008 by Nashville-based classical guitarists Robert Thompson and Joey Butler. Merging their love of Brazilian and Latin music and extensive knowledge of Latin rhythms, they formed a guitar duo specializing in composers from South America—mainly Argentina and Brazil. As active performers, they have performed concerts throughout the United States. Duo Sudeste has been featured on WPLN’s Live in Studio C, and for the last six years has been a featured group at the Tennessee Arts Academy, which is held at Belmont University each summer. Admission is free for college students with valid school ID on Thursday and Friday evenings from 5:00 to 9:00 p.m. (with the exception of Frist Fridays).